What are conference room chairs? Are you looking to pair up your new conference table or old table with a new set of perfectly matching chairs? What are your requirements? Are you looking for stylish, modern looking furniture or ergonomic, classy and traditional one or a mixture of modern, ergonomic design that can create an impression and provide ample comfort? Whatever the needs might be, you cannot run out of choices with the latest and most popular of the best conference room chairs we are about to discuss. Conference room chairs are an integral part of daily business. Mostly, ideas are generated, brainstormed and given a shape inside conference rooms. Hence conference rooms play an integral role in business management, branding and creating a lasting impression. Apart from good looks, these rooms need adequate decor to keep it pleasant and appealing. The best conference room chairs are classified with iconic designs that can provide the looks and feel of your brand and the business culture. An ergonomically designed chair can bring in optimal performance for spaces that are frequently occupied. A wise choice with due consideration to facts can benefit in the long run. How do you choose Conference Chairs? Whether yours is a small company or Fortune 500 company, a good set of conference chairs can make great investment. Apart from impressing the clients, they motivate and promote performance of employees. Comfort, convenience and culture should go hand-in-hand. Consider what your business is, analyze your requirements and decide on your budget. Here is a short checklist to help you with your search for the best conference chairs. How do conference chairs impact a room’s style? While you go for new set of conference chairs, consider the room structure and existing furniture it holds. If you already have a modern looking conference room, couple it with modern chairs. But think twice if you are mixing up a traditional room with modern chairs or vice versa. Equally important is the business and image you want to portray to your clients. If you are a professional firm, you don’t need much flashy furniture that can show your creativity. If your choices aren’t wise, your makeover can have a negative impact too. While you shop around, start your planning from analyzing the conference room area. If you have a spacious room, you have the choice of getting big chairs or more number of conference chairs, as per requirement. But if you have a space constraint, it won’t be wise decision to get a plush, wide, spacious chair with too many embellishments. Are meeting chairs the best choice for a room? Consider buying meeting chairs that can fit into the room. The chairs should not be too big so as to stand out on its own with regard to other furniture in the room. Keep a check on the dimensions of your room, the table and furniture it occupies and go for chairs that complement furniture and space. 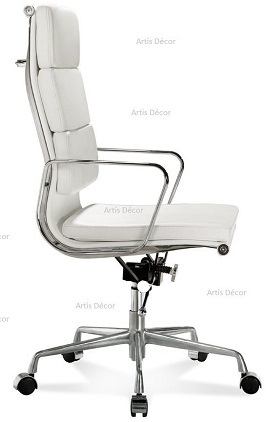 Will a meeting room chair create a good impression? Your meeting room chair is there for a reason. Your choices also need to reflect those in terms of being used for client meeting, discussing with potential customers, board members, peer meetings, etc. Each of these has different settings which are fine-tuned by the furniture and room that it is held in. 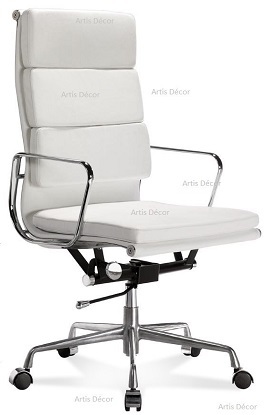 If you have a sedentary conference room, it is fine to go for stable meeting room chair which can stay in the room. But if you wish to use chairs in different settings, you should consider portability and maneuverability. Also, based on the use, you could make choices as to whether you need stackable chairs, rolling chairs, etc. No matter what, it should bring out the aura of professionalism in a completely business-like or purely creative manner. Why should conference table chairs be ergonomic? When it says ergonomic, it means you can bend, stretch or move the parts of the chair the way that best suits your posture and frame. Ergonomically designed conference table chairs are supposed to give optimal comfort and support the body while it is strained with long hours of work. This is mostly beneficial when you have long hours dedicated for meetings and you want your employees to give the best from the first to the last minute. Should conference seating be dictated by frequency of use? While you settle your conference seating, consider the frequency of it being used. 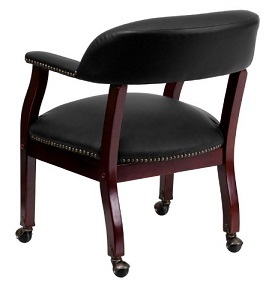 Analyze facts on your monthly usage and choose chairs that are subsequently durable. Also, check for heavy-duty materials that can withstand daily wear and tear. You could choose chairs with leather upholstery if you have infrequent usage or go for modern fabric or mesh that can have better capability to survive tough handling of frequent usage. When you check chairs for conference room, look for the number of chairs that are being used. Also, check if you can pull out couple of chairs from the reception, when required. In that case, get only the required number of chairs. Should office conference room chairs be tall? Most conference rooms face this phenomenal trauma of ill-fitting chairs with armrests. It is often tough to push them inside the table because of their hefty design. To avoid this, consider the height of your table while you shop. 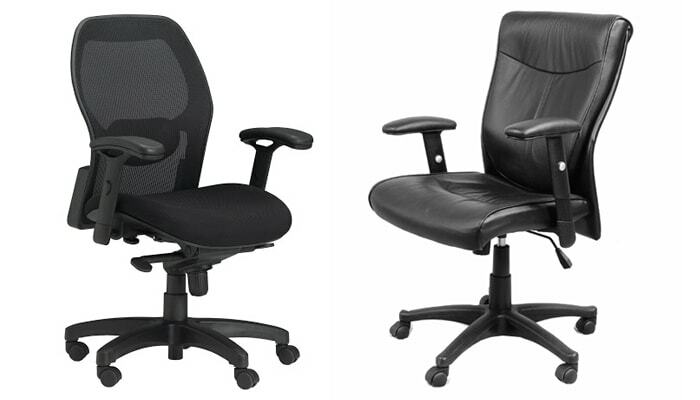 What matters for office meeting chairs – looks or comfort? When you are analyzing your needs for office meeting chairs, check if you need pure style and looks or you need an ergonomic and comfortable chair. This makes an important aspect, choose something that satisfy your needs. Why does budget matter for office conference chairs? 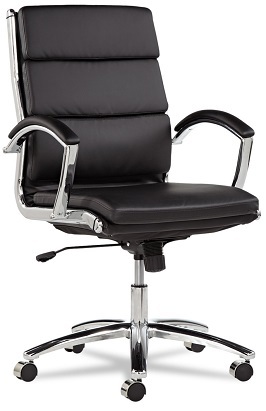 Office conference chairs come in price ranging from around $100 to over $5000. The choices purely depend on each business and the reasoning behind the options. The best choice is always what you need which has not much to do with pricing. 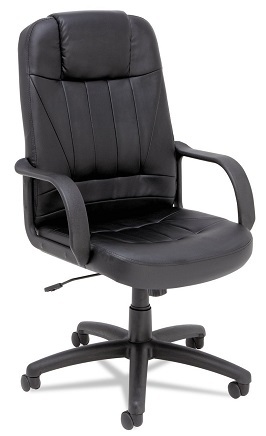 The best way to shop for office conference room chairs is to go online. There are wide variety of choices and huge discounts that offers good quality chairs at a low price than any retailer. You could even compare your shortlisted choices online. Moreover, bulk purchases have added benefit of discounts which you can discuss with sales representative. 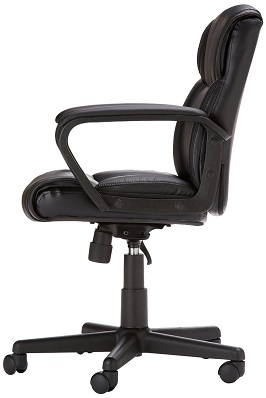 If you need a chair that can provide lumbar support and stress-fee leg support, then the Boss Fabric Deluxe Posture Chair Black is a great choice. 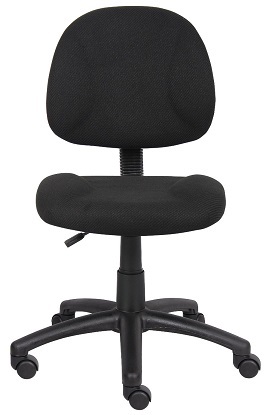 This chair has the functionality and ergonomic intensity to give you a relaxed work time. It makes a great computer chair or conference chair with quality construction and fabric design that is easy to maintain. The settings are simple with a single lever for seat reclining and height adjustments. The chair has full swivel function with hooded double wheel casters that makes movements smooth and stable. It has a durable design with five-star nylon base. The whole structure weighs 10kg and measures 63.5×44.4×101.6cm. Since there are no armrests, this chair will fit under any standard conference table. 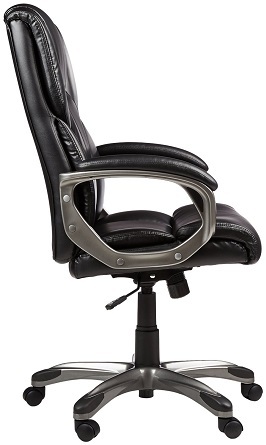 Priced around $130, this low-back conference room office chair can make a great work chair. Easy to maintain fabric design. Boss fabric posture chair is a great chair that adds value to your investment with its well cushioned seat, supportive back, fully adjustable seats, fabric design and great quality. 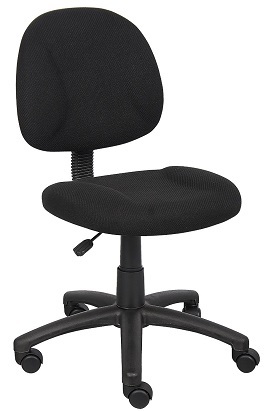 The AmazonBasics mid-back office chairs are ergonomic chairs with padded seats for comfort. 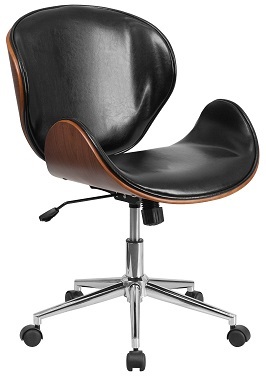 The chair gets its good-looks from black bonded leather upholstery and is ergonomic with pneumatic height adjustments, dual wheel casters and fully adjustable settings. It has a maximum capacity of 225 pounds with a measurement of 27×25.8×39.2 inches and weighs around 30 pounds. The chair is backed by 1year warranty. 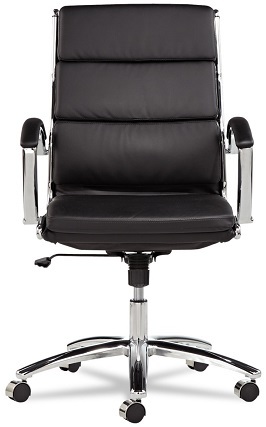 It has modern, sophisticated appearance with simple adjustments that lets you relax and work in comfort and style. That chair comes at an amazing price of around $70 and makes a great purchase for those who don’t intent to invest much on an ergonomic office chair. AmazonBasics mid-back conference room table chairs are great chairs for short term use. They are affordable, sturdy, comfortable and of decent quality. It is easy to assemble and makes a great work chair. Should you buy a high back conference chair or not? 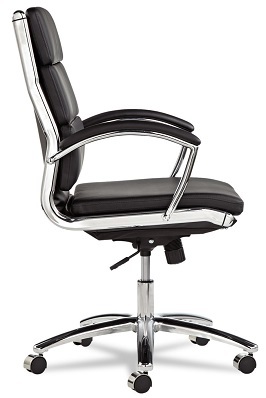 This high-back conference chair is a great option if you look for elegance and versatility. 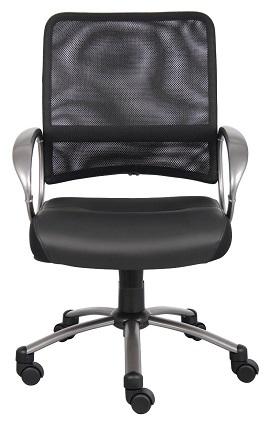 The chair has the class of black shade and makes a great contemporary addition to your work space. 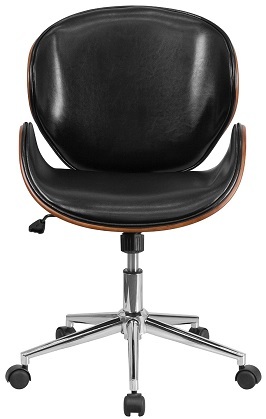 This high-back chair adds looks and comfort to your office space with its ergonomic, leathery construction. 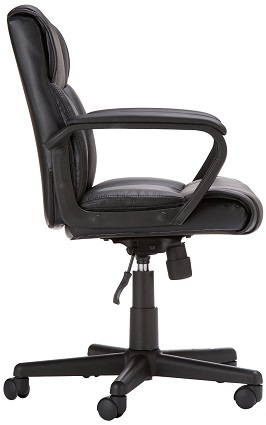 The pneumatic height adjustment offers decent sitting posture and there is a lockable tilt mechanism that helps you recline, giving proper lumbar support. Measuring around 46.88x28x25.79 inches and weighing around 17kg, this chair makes a great posture defining piece of furniture for long time comfort. This durable design has a maximum capacity of 250 pounds and has nylon casters for easy gliding over carpets and floors alike. Backed with 5years limited warranty, this chair costs around $140. Alera Sparis high-back conference chair is a decent chair which is easy to assemble and has a good quality construction which supports posture well enough. Only concern is regarding the leather part which is faux leather that is justified by its price. How are luxurious conference room chairs better? 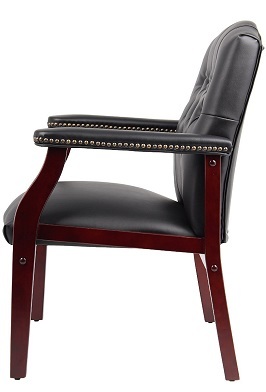 If you are looking for luxurious conference room chairs, the Flash Furniture BZ100 LF0005 BK LEA GG Black Leather is where you should stop at. These are traditional chairs with casters could be a great option. They have the elegance of black upholstery including the armrests and the functionality of wheel casters that makes movement easier. It has an open back design with brass nail trimmings on the arms and the seat for added elegance. Priced around $200, these luxurious conference room chairs are sure to make an impression with is black outer and mahogany frame. The chair measures 61×63.5×76.2 cm and weighs 7kg. Simple, elegant, traditional design with faux leather. 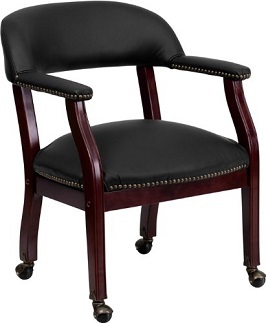 This is purely luxurious conference room chair that looks great in any traditional settings. Combined with mahogany and black with brass trimmings, they make quite an impression. Also, the assembly is easy and the chair is comfortable and sturdy. Overall, it is well worth the money. 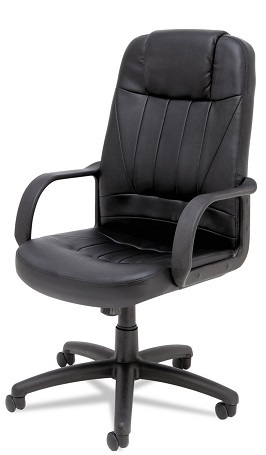 What are executive conference room chairs? 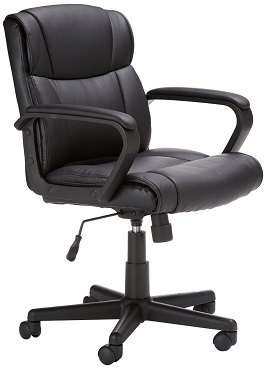 The AmazonBasics High-Back Executive Chair are made to get you going through the day’s work. They are comfortable and offer a sleek, sophisticated and professional design with a high back and bonded black leather. The chair has maximum capacity of 250 pounds and is backed by one year Amazon warranty. This chair holds a fully adjustable setting which makes it appealing to posture. The chair measures 78x70x114.5 cm and weighs 16kg. 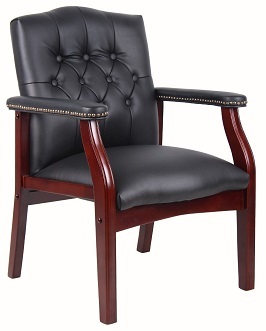 The bonded leather and OVC gives smooth texture including armrests. It offers 360oswivel function and has casters for easy movement over carpet or normal floor. Being priced below $209, this chair offers great features and better quality than is intended to. Material does not breathe, hence gets heated. 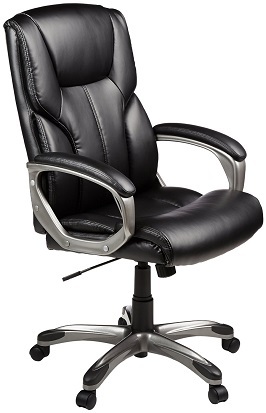 This executive conference room chair looks, performs and feels great. It offers optimal comfort for a day’s work and is made for looks and functionality alike. Apart from the chipping of armrest paint, this chair is one of the best additions within couple hundred dollars. Boss mesh meeting chairs are comfortable, modern, ergonomic chairs that offer looks and performance at an affordable price. 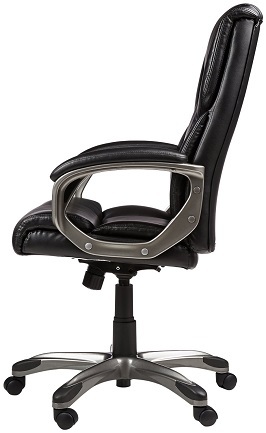 It has aluminum metal magnets, pneumatic settings to adjust seat height and a comfortable arm rest to keep you well positioned and relaxed through a day’s work. The base and the arm rests come with metal pewter finish, when combined with black LeatherPlus upholstery, will impress at the first sight. The chair is quite easy to assemble, clean and maintain. The mesh has a gentle curve and breathability which adequately supports your back. There is an adjustable, lockable tilt function which ensures customized relaxation. It has hooded double wheel casters for better mobility. The structure weighs around 27 pounds and measures 25×23.2×42 inches with a capacity of 260 pounds. 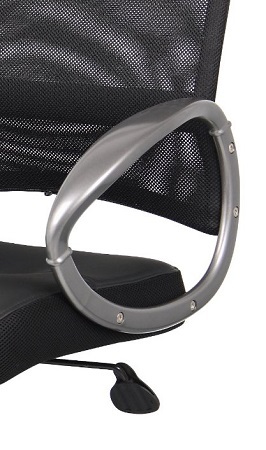 These mesh meeting chairs are priced around $80 on Amazon and around $130 on other online sites. Elegant looking at an affordable pricing. This chair offers what it is priced for. It is easy to set up and does not lack anywhere in comfort. Also, it provides adequate back support and the small wheel base make it perfect for smaller spaces. Only concern is that, after some use, the chair starts squeaking which needs to be tackled. 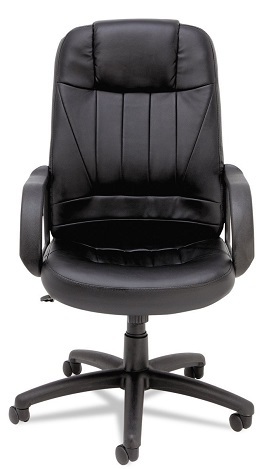 Why are leather boardroom chairs such an excellent choice? The Alera Neratoli Mid-Back Chair is a leather board room chair which offers a contemporary look with padded, waterfall seating to reduce pressure on the back. It offers padding on the back of knees; arm caps and the wheel casters on five-star base provide easy mobility. This is a slim chair that complements smaller spaces. The design offers great looks with its faux leather, sleek design and black color. It is very soft and silky to touch and have a high quality build. The chair weighs around 47 pounds and measures 34.8×15.9×25.8 inches. 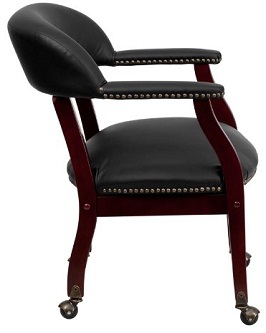 Tagged for around $155, this chair creates a professional aura to please your client’s eyes. Soft and silky texture, combined with tilt function and padding for extra comfort. The silky leather seating may cause a feeling of falling off which need to get used to. These leather board room chairs are ideal for professional spaces with its slim, sleek, classy design and elegant features. It is optimally comfortable with high quality construction and durable manufacturing. Overall, a great chair for the price. Why do you need modern conference seating? 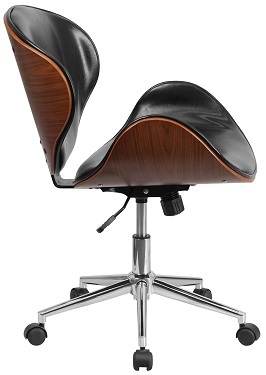 The Flash Furniture Mid Back Natural Wood Swivel Conference Chair in Leater – Black is a great modern chair. For a modern conference seating arrangement, you need a modern looking chair that combines looks and functionality. Flash Furniture conference chairs are quite impressive for such demands with its aesthetically appealing natural bentwood frame holding the glossy black leather upholstery. 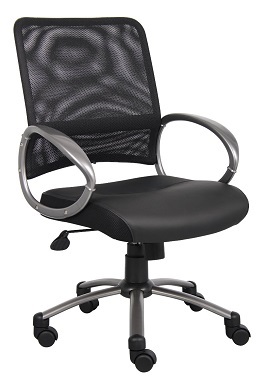 It also offers adequate mid and upper back support with a contoured backrest and curvy seating. The chair offers 360oswivel function for making use of the entire workspace. Also, there is pneumatic seat adjustments and lockable tilt adjustment mechanism that makes it to the list of ergonomic chairs. Priced around $150, these modern conference seating chairs are great with regard to looks, performance and durability. It has a bigger profile which measures 26×21.5×32 inches and weighs 31.8 pounds. Offer proper back support for long time use. Wood starts chipping eventually, exposing white area. The chair is an ideal piece of professional furniture with amazing looks. It is very comfortable and well made to meet ergonomic demands. Because of its bigger profile, the chair may not suit smaller spaces. 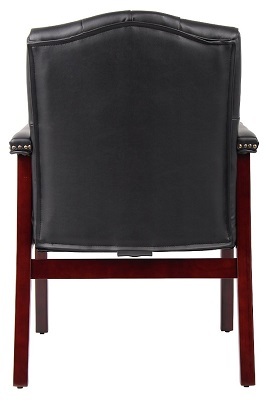 The Boss Traditional Black Caressoft Guest Chair Black is embellished with the class and beauty of traditional type of chairs. They do not offer wheel casters and are more ideal for sedentary type of work. The chair has black caressoft vinyl upholstery which when combined with mahogany wooden base gives the look of classic elegance to adorn your office space in style. The chair has been priced just over $100 and measures 24.5x27x35.5 inches. It is pretty heavy, sighing around 50 pounds with a capacity to hold maximum of 259 pounds. Wooden finish with black upholstery offer great looks. Cushion will sink in if used frequently. If you need a traditional conference chair, this will make a great purchase. It has the elegance which can bring in complements for its looks and comfort. It has sturdy construction and is easy to assemble. It may not make an all-day chair, but can be adequately comfortable for meeting rooms without shelling out too much. How do hi-end conference room chairs measure up? 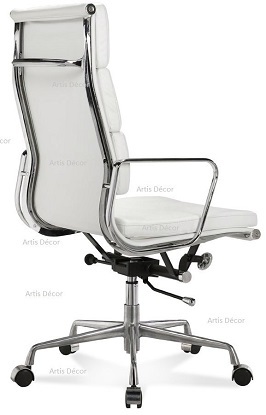 The Artis soft pad Low and High Back Office Chair – genuine leather – aliminium base (high back white) is worth checking out. The chair, by its looks itself creates a lasting impression of professionalism in a modern context. It has an aluminum metal frame on which is upholstered the white genuine Italian leather that gives its elegance and charm. 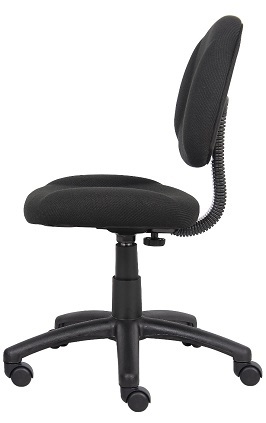 The chair also holds swivel, tilting and pneumatic height adjustments functions for all day comfort. Combined with one year warranty and a pricing of around $300, this chair is an ideal investment for a classy business setup. The chair has a slim profile with 30x24x15 inch dimensions and weighs 28 pounds. Cushion takes a while to break in. The chair offers all comfort and style for the price it comes for. It has the construction, quality and durability that can reflect its own style and beauty to your work place. It features fine quality leather, comfortable padding and thoughtful design which makes it one of the best hi-end conference room chair. Which are the best conference chairs for you? The best conference chairs are the ones that suit your space, business culture, the office environment, your budget and a lot of other factors. Based on your necessity, it is ideal to choose the chair that suits your criteria. It could be anything from pure looks to pure comfort. The choice is yours.